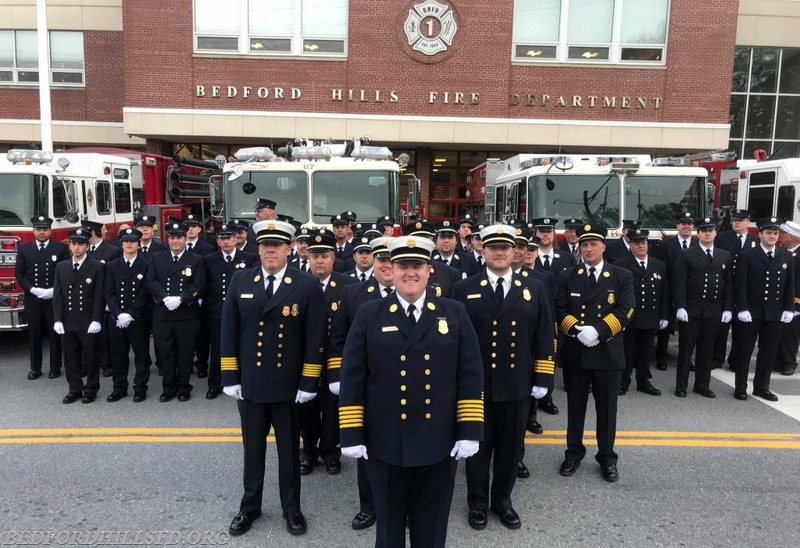 The Bedford Hills Fire Department and Bedford Hills Fire District Annual Inspection Dinner was held on Friday, May 11, 2018. FF Christopher Hurley was awarded Firefighter of the Year "In Recognition Of Outstanding Service And Devotion To The Bedford Hills Fire District and Department." FF Wyatt Messinger was awarded the inaugural Willis A. Goodrow Chiefs Award for "Commitment to advanced training, professionalism and dedication to the Bedford Hills Fire Department." 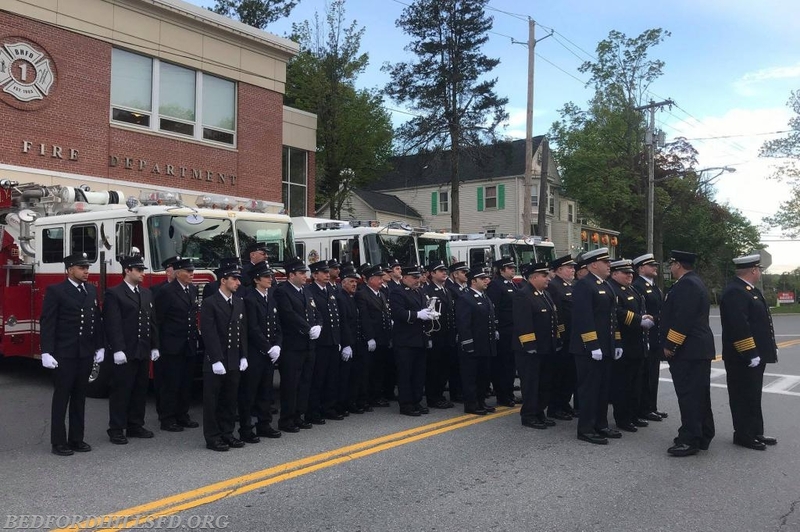 Firefighter Francesco "Frank" Figliuzzi was awarded the Rev. Joseph Campbell Award for "Outstanding Achievement And Dedication In The Performance Of Duty, Advanced Training And Positive Attitude." The Apparatus Trophy was awarded to Engineer Sean Rooney - Tower Ladder 57 . 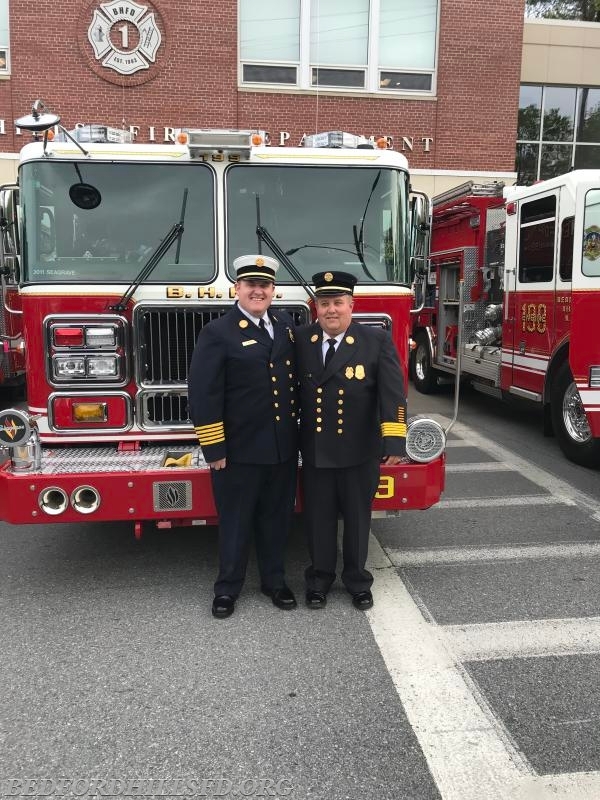 The Fire Department also recognized Ex-Chief Joseph J. Lombardo III for his many years of service as Chief of Department from 2015-2017. The 2018 Board of Chiefs with Officers from Yorktown Heights Engine Co #1. The 2018 Board of Chiefs Rev. Joe Cambell Award winner Frank Fugliuzzi. The 2018 Board of Chiefs with 20 Year Member Nicola D. Bueti. The 2018 Board of Chiefs with Engineer Sean Rooney. First Place Apparatus Award - Tower Ladder 57. The 2018 Board of Chiefs with Ex-Chief Lombardo. DC Brian McGill and his Father Ex-Asst. Chief Sandy McGill. The 2018 Board of Chiefs with Past Asst. Chief John Goodrow, and Firefigher Wyatt Messinger.